Discover this Fluffy Coconut Frosting! 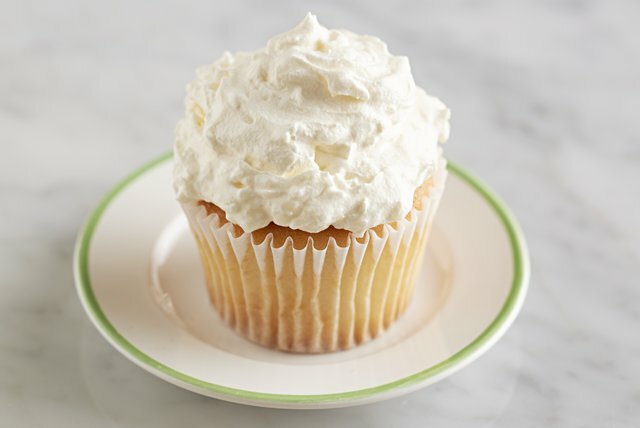 Find out how almond extract and flaked coconut put a new twist on our best cream cheese frosting recipe. Beat cream cheese in medium bowl with wire whisk until creamy. Gradually add sugar, beating until well blended after each addition. Blend in milk and almond extract. Add whipped topping and coconut; stir until well blended. Use to frost your favorite cake or cupcake recipe. Store frosted cake or cupcakes in the refrigerator. Place unopened 8-oz. tub in refrigerator for 4 hours. Do not thaw in microwave. Prepare as directed, using COOL WHIP Extra Creamy Whipped Topping.